A lot of tensions around gentrification are simmering in Humboldt Park. As the community continues to gentrify, it increasingly seems to pit white people against people of color. A recent thread on EveryBlock.com, a website with message forums for different neighborhoods, exemplifies this tension. Some white newcomers have called for a boycott of Latino businesses that make them feel “unwelcome.” I can’t even express how much eye-rolling I did when I saw this. Disgruntled white people, someone not rolling out the red carpet for you does not merit you starting a mass boycott. People of color have a right to feel some level of angst with newcomers when they are being priced out of a community they’ve called home and are also seeing friends and family move away. Much of the anger in the thread against the Latino businesses is just post-Riot Fest frustration. It seems that most people supporting Riot Fest didn’t exactly care about the damages to the park as much as what the music festival represented for the community—a vision of Humboldt Park that more aligned with those that would like to see it gentrified. Its departure has consequently fired up the pro-gentrification crowd. Long-simmering tensions among newcomers and long-time residents have finally come to the surface. 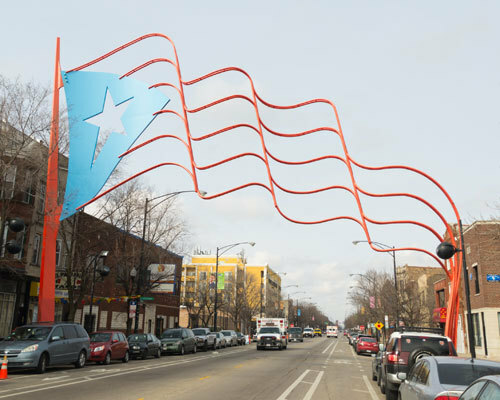 Nothing represents the enduring legacy of people of color in the community quite like the Latino (notably Puerto Rican) business district in Humboldt Park, so it has easily become the perfect target for the anger that has been ignited. Those calling for the boycott of various Latino businesses are trying to justify it with the phrase “they’re not welcoming me.” When asked what that even meant, thread respondents couldn’t offer much besides directing people to “read through the thread to learn more.” I sure read that thread and couldn’t see any legitimate reason to boycott a business beyond some possible vague comments from a restaurant owner about “those newcomers” and another owner being “vocal about anti-gentrification.” Based on this thread, I can see why some restaurant owners wouldn’t want to see those newcomers in their restaurants and god forbid that a restaurant owner be vocal about maintaining the economic and racial diversity of a neighborhood. 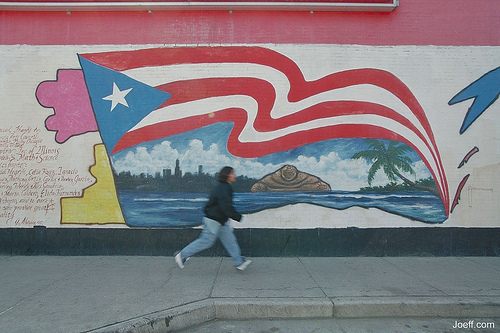 Despite the declining Puerto Rican/Latino presence in Humboldt Park, the community retains this diverse identity. The EveryBlock thread can be summed up as white people being upset about not calling the shots in every aspect of the neighborhood. Despite efforts to silence certain voices, there is a strong community of color that doesn’t allow the vision of a more upscale and homogeneous Humboldt Park to come into fruition as quickly as some may like. There are few neighborhoods in Chicago that are so interconnected to an identity and Humboldt Park is undoubtedly one of them. A unity historically based in struggle, gentrification is a threat to its fabric. With the way white people are reacting on EveryBlock, you would think they are experiencing some sort of crisis, but they are merely dissuading from the true issues at hand. While they complain about people of color speaking out against gentrification or not “welcoming” them into their restaurants, displacement spreads rapidly throughout the neighborhood. White people on EveryBlock, instead of making the tensions in the community about your hurt, why not take some time to actually look beyond your experience? Actually take some time to learn why people of color may not be rolling out the red carpet for you at their restaurant. Have you, after all, ever been systematically pushed further and further west from past communities? The histories of Lincoln Park and Wicker Park beg to differ. You say this change is natural, but if your idea of natural is people losing their homes, you have a twisted sense of what natural is. When people of color are set to lose, it always seems like a natural progression. While the exodus of middle-class white people from cities was seen as a crisis in the mid-20th century, the displacement of people of color today is seen as normal. Instead of feeling entitled to mold a community that was here before you, learn how to respect those here before you and stand in solidarity with them. Maybe then more people would welcome you to their restaurant. When you start seeing anti-gentrification work as legitimate, maybe then people will see you as an ally and not part of the forces pushing people out. I know the white people on EveryBlock don’t represent all the white people in Humboldt Park. There are plenty of white people respectful of people of color in the community and passionate about keeping the neighborhood diverse. Most importantly, they don’t feel the need to center their voices in this situation and they don’t diminish the issues that people of color are raising. Just yesterday, a group of tenants marched to demand that their landlord help them with relocation costs. A new landlord acquired their building recently and subsequently served them all with eviction notices. After they move, the landlord is set to double the rent. Many longtime and disabled residents are losing their homes, and may end up homeless. White people on EveryBlock, tell me again why you not feeling welcome at a restaurant is more important.